I had somebody request a post about portion control, and I definitely couldn't have thought of a better idea! It's SO important to stay within the portion sizes to not only lose/maintain a certain weight, but also so you don't regret it later! Nobody likes a tummy full of food and guilt. 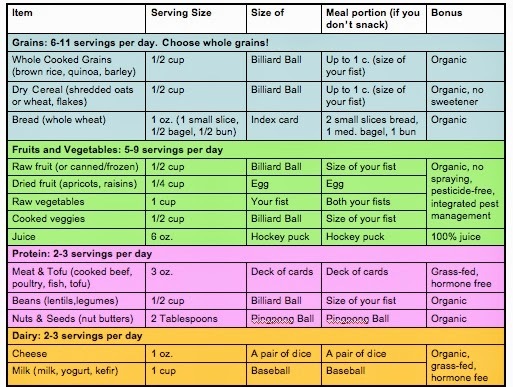 Here are some charts I found that deal with portion control. I was going to write my own list, but I honestly feel like portion control is a very debatable topic. For instance, I don't think you can eat too many veggies and fruits throughout the day. They are extremely good for you! Of course, the leafy greens are the best and I'm not saying eat a whole watermelon in a day! As for protein, some people eat a lot more than the serving size because they want to build more muscle or bulk up. Some people cannot eat dairy and some people cannot eat a lot of grains. So, I figured I would let the charts do the talking. I have to say though, if you are eating canned/boxed foods it's always best to go with the serving size recommended on the back of a label. This way you aren't overeating and regret it later. My advice for you is to eat more fruits and vegetables than anything (I honestly don't keep track of how much I eat fruits and veggies). Eat lean proteins, and eat less dairy and grains than proteins, fruits, and veggies. I am not saying do not eat dairy and grains at all, but try and stay away from the processed versions of these products! As for packing your lunch, be wise with your serving sizes! 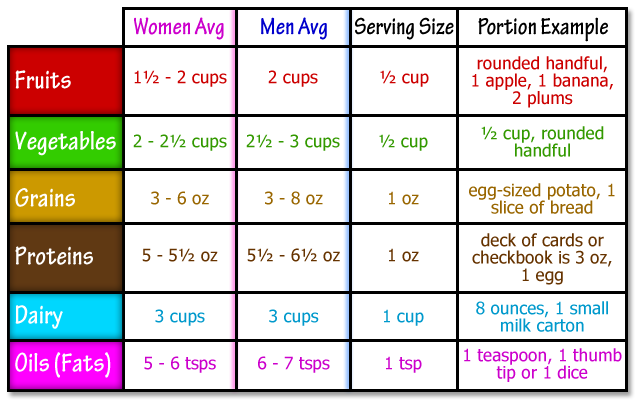 It's pretty easy to pack the right serving sizes if you have the right mindset and a measuring cup. As for going out to eat, try getting the waiter to pack up half of your meal before he brings it out, or order the smaller portions of meals. A lot of restaurants have smaller options and healthier options. Don't feel obligated to get the big portions because your friends or family members do. Remember, you are the one in control of YOUR body! They are not in control of your body and you are not in control of theirs. 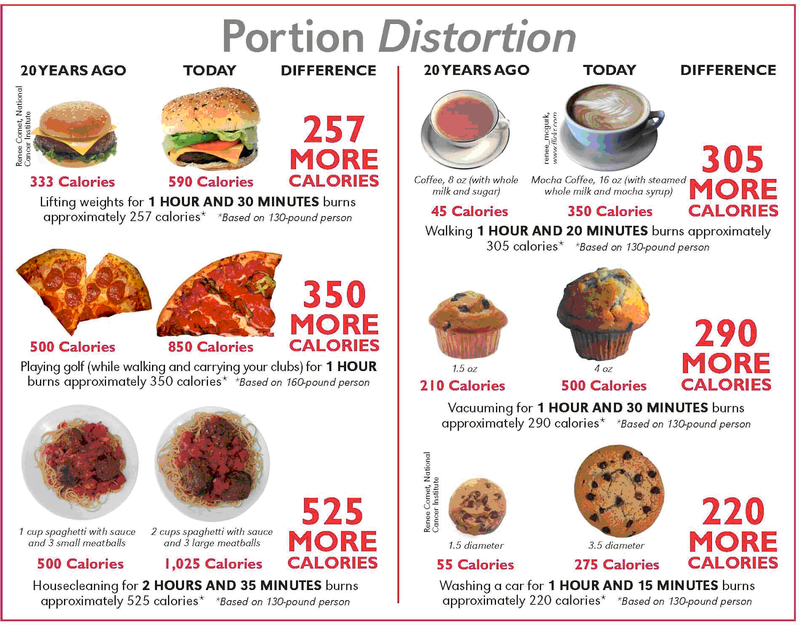 I also want to show you this chart about how serving sizes have changed over the years. Not only have they gotten bigger, but they are also filled with more processed, nasty, extremely bad for you, sometimes toxic stuff! So there you have it! My thoughts and advice for portion control! If you have any specific questions about any of these or anything else, please let me know! I hope you found this information helpful and useful. P.S. I wanted to share a few awesome pictures (that Hannah took) with y'all of a clothing line that I am obsessed with! I am absolutely, 100% obsessed with 30a. It's a highway located along the north-western coast of Florida. It is where Santa Rosa, Seaside, Rosemary, Grayton, etc. are located. 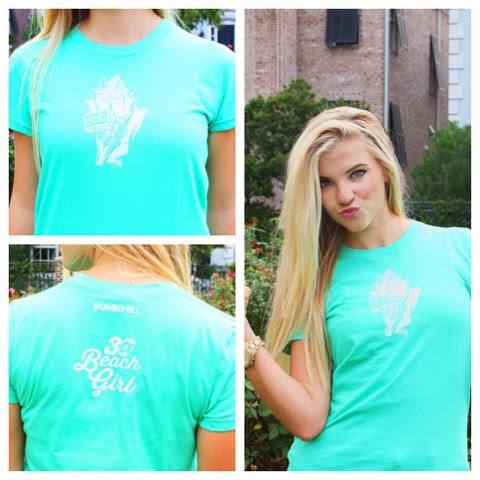 I had the amazing opportunity to partner up with 30a Beach Girl! They have the coolest and cutest shirts and stickers! If you love 30a like me, then I know you will love their clothing. Even if you don't know about 30a, these shirts are amazingly soft and lightweight! Perfect for lounging, being active, out and about, or even after a sunburn.